A goal each from Ashique Kuruniyan (35th) and Lalianzuala Chhangte (47th) in each half settled the issue for the defending champions. India started the game on a high tempo and Ashique showed his intention within two minutes of the match when he latched the first attack from the left flank. 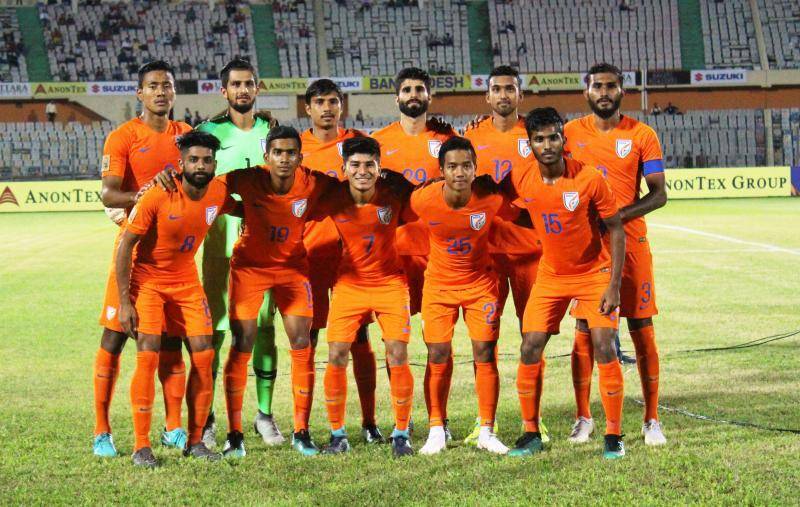 India, fielding the youngest team in the competition, barged on numerous attacks on the rival citadel but the Islanders kept them away from opening the scoring until the 36th minute when Ashique Kuruniyan sped past his marker and slotted it home past a diving keeper for his first International goal. Almost immediately after, India came close to doubling the lead but Chhangte’s narrow miss and a number of acrobatic saves by the Sri Lankan goalie kept the scoresheet unchanged. Farukh Chowdhury and substitute Manvir Singh also had their chances but were unable to cash in despite staying in advantageous positions. First, Farukh blasted into the crossbar in the 75th minute, and off the rebound, Manvir missed to connect it properly to find the third goal. Courtesy the victory, India stays on top of Group B and they next take on the Maldives in their next match on September 9, 2018.